Both aspirin and fish oil can improve the prospects for people at high risk of developing bowel cancer, according to the findings of a major UK study published today. Both substances were linked to specific reductions in the number of pre-cancerous polyps suffered by people identified as being at risk, according to the research published in The Lancet. However, there was no evidence that taking the substances could prevent the development of polyps in the first place, according to the research involving the universities of Leeds, Nottingham, Bradford and Newcastle. The research involved 700 patients from 53 hospitals. All were identified as being at high risk from colonoscopies undertaking as part of the English screening programme. 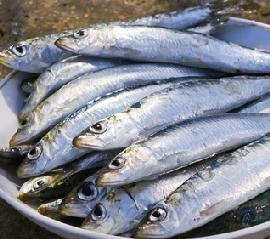 They were tested with combinations of aspirin and high doses of EPA, derived from fish oil, in the controlled trial. The research, known as the seAFOod Trial, found that taking aspirin was linked with a 22% reduction in polyps while EA was associated with 25% fewer polyps in the left side of the bowel. Researchers said the two agents might be used as “precision medicines”, targeted at patients facing risk of particular types of polyps. Researcher Professor Mark Hull, from Leeds, said: "The seAFOod Trial demonstrates that both aspirin and EPA have preventative effects, which is particularly exciting given that they are both relatively cheap and safe compounds to give to patients. "Given this new evidence, clinicians need to consider these agents for patients at elevated risk of bowel cancer, alongside regular colonoscopy surveillance." * A second study released yesterday calls for improved care for patients with Barrett’s Oesophagus. Manchester University researchers reported their findings in the journal Health Expectations. They call for improved information for patients and consistent care, suggesting this can help reduce “chronic and unnecessary” worry among patients.